There are many beaches in the state of Florida for people to enjoy, two of which can be found in the City of Cape Coral. The main beach is located within the Yacht Club Community Park on the southeast corner of Cape Coral at the end of Driftwood Pkwy. In addition to the Yacht Club public beach, visitors to the Yacht Club Community Park can enjoy a covered playground with equipment for children ages 2-12 that can accommodate persons with disabilities, as well as picnic tables and BBQ grills, the adjacent Yacht Club Pier, a public boat ramp and free vehicle parking (there is a small fee for boat trailers). Cape Coral's newest beach is located at Four Freedoms Park on the banks of Bimini Basin just south of Cape Coral Pkwy. Visitors to four Freedoms Park can enjoy fenced in playground equipment for children ages 2-12, picnic tables and BBQ grills. Alcohol is not permitted in either of the parks and animals are not allowed on the beach. Both the Yacht Club public beach and Four Freedoms beach are open from dawn to dusk daily; however, there are no lifeguards on duty. Those who wish to go in the water should understand that they are both non-swimming beaches so going in the water is at their own risk. For people who wish to swim, the Yacht Club Community Pool is located just a few feet from the Yacht club beach and features a heated Olympic Size pool and a kiddy pool with interactive Dewdrop fountain and underwater bubblers. A daily fee is required to use the Yacht Club Pool, but fully trained lifeguards are on duty at the pool during all operating hours. All of the above parks have picnic tables that are available on a first come, first serve basis, and sunbathing is permitted (swim suits are required). 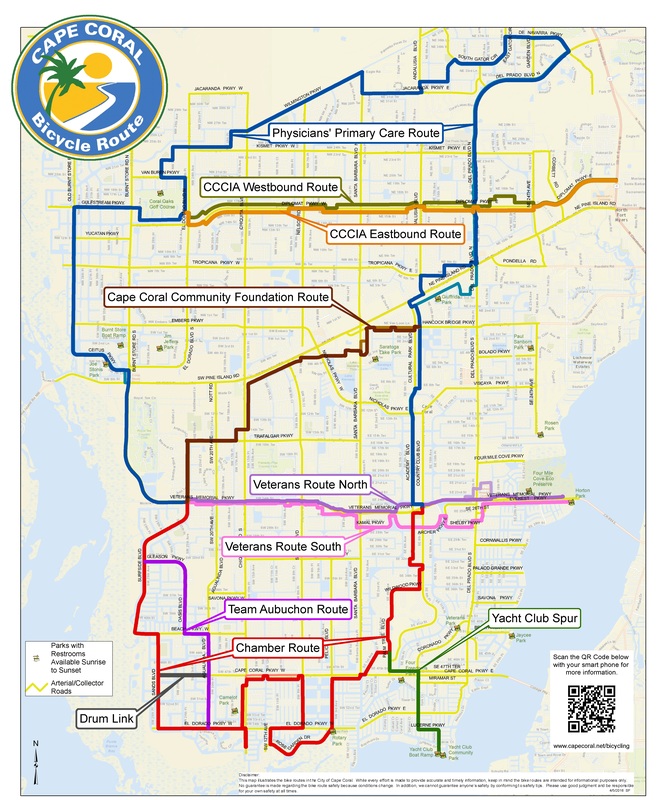 For general information about Cape Coral Parks and Recreation, call (239) 573-3128. Or if you encounter an issue in one of the Cape Coral parks, please contact the Cape Coral Police Department's non-emergency line at (239) 574-3223.